Before Nabi, the others to have achieved this 'double' are Shahid Afridi, Shakib Al Hasan, Mohammad Hafeez, Dwayne Bravo, and Thisara Perera. 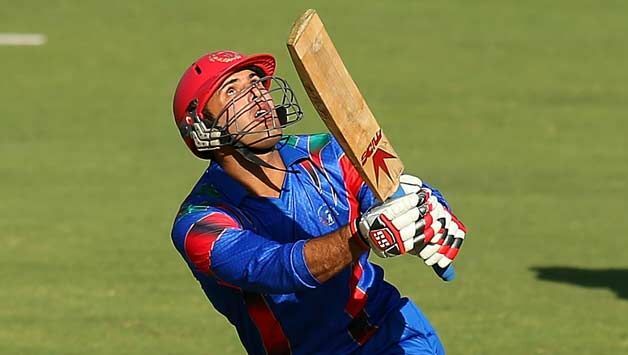 Mohammad Nabi of Afghanistan became the sixth cricketer to do the 1,000 run-50 wicket ‘double’ in the history of T20 Internationals. Nabi achieved this during the first T20I of the three-match series against Ireland, at Bready Cricket Club, Magheramason, Bready. 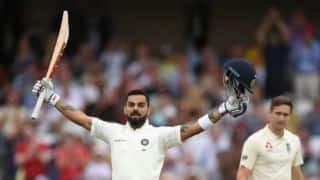 The others to have achieved this ‘double’ are Shahid Afridi (1,416 runs, 98 wickets), Shakib Al Hasan (1,368 and 80), Mohammad Hafeez (1,665 and 51), Dwayne Bravo (1,142 and 52), and Thisara Perera (1,020 and 50). Here is the complete list. As is evident, of those with 1,000 T20I runs, only Afridi and Shakib have more wickets than Nabi’s tally of 66. Nabi had reached 50 wickets back in 2016, against UAE at Dubai, having Shaiman Anwar caught by Karim Janat. Nabi came into the match five short of the 1,000-run mark. 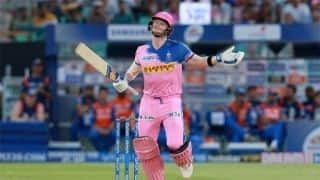 He ran a single off the first ball he faced, was beaten by a slow delivery from Tyrone Kane off the next, and guided the third over long-leg for six to achieved the ‘double’. Two balls later he holed out to extra-cover. 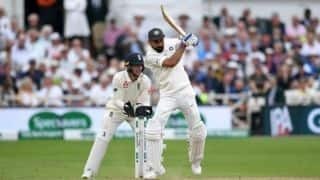 Of contemporary cricketers, no one else has got 800 runs and 40 wickets (Shane Watson retired with 1,462 runs and 48 wickets), so it is unlikely that there will be a new entrant to the list anytime soon.